1.15 Acres Zoned Industrial near railIdeal for ground level Parking.Frontage improved.Hard industrial size to find.Utilities Near. 5600 SqFt Restaurant Building for sale | 1.45 AC Zoned GCPROPERTY INFORMATION• 5,600 Sq. 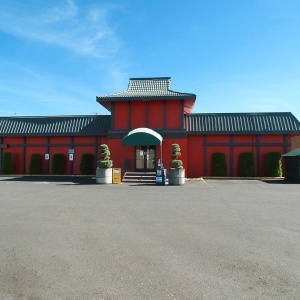 Ft. Commercial Bldg.• Dragon King Restaurant formerly• Serves I-5 Interchange• Generous Onsite Parking.• Highly Trafficked 78th St.• Great Buffet Style Site.• 1.